Nominate Your Kap. Chooks '14 ~ Philippine Freebies, Promos, Contests and MORE! 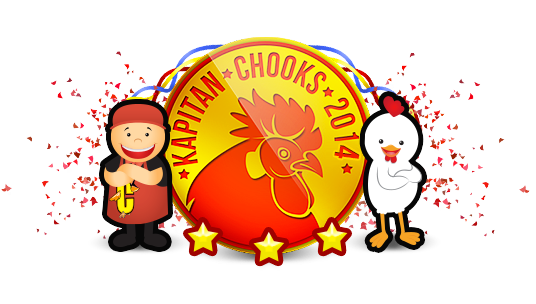 The nomination for Kapitan Chooks 2014 is still ongoing. If you know someone who is a Mabuting Magulang, Mabuting Anak, Mabuting Manggagawa, or Mabuting Tagapaglingkod, cast your nomination by sending their photo along with at least 1,000-word write-up sharing the story of the nominee and why he or she is recommended in that category. You may also vote for yourself. Complete your submission by registering or logging in to your Ka-Chooks account. Submit as many entries as you can, provided that each entry is a different person. Vote for your winner from the Top 10 semi-finalists for each category. You can vote for multiple entries once per day. Four (4) Grand winners per category will each receive P20,000 cash + Chooks-To-Go medal + Black Chooks-To-Go t-shirt. Nominators of the Grand winners will also receive P5,000 cash + Black Chooks-To-Go t-shirt. A weekly digital raffle will also be held to choose consolation prize winners of P3,000 cash each. 40% Over-all Impact - How much does the story of the nominee move the reader? 30% Uniqueness of story - What gives the nominee an edge above the other nominees? 20% Adherence to the mechanics - Does my entry follow the rules and mechanics of the contest? 10% Brand Choice - How much does this entry speak to Chooks-to-Go? 40% Social Impact - How has the nominee made an impact to the lives of other people? 20% Brand Values - How does the nominee embody the values of Chooks-To-Go? 20% Creativity and Relevance of Entry - How different and relevant to the people involved is the story of the nominee? 10% Brand + Partner Agency Choice - How much does this entry speak to the judges of this contest? 10% Number of votes - How many votes did my entry get?